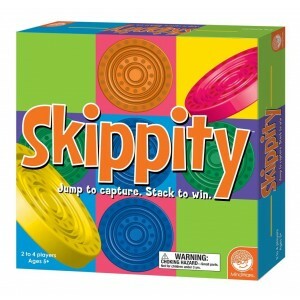 Skippity by Mindware is a family fun game with a hop skip and a jump! 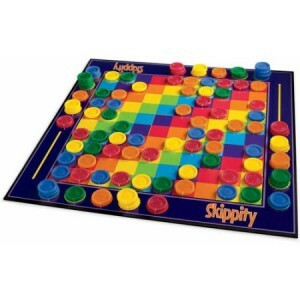 The games starts with the game board being mostly filled with pieces called skippers. The aim of the game is to collect the most sets of skippers by jumping over them whilst at the same time blocking your opponents from doing the same. An easy learn and fast paced game where any skipper can be your jumping piece. Skippity comes with free delivery.